Those of you who follow me on Instagram know that I like to doodle with my fountain pens. I find it a great way to use my pens, get creative and relax. You might also remember that I was lucky enough to get to know Mark with Rickshaw Bagworks while I lived in San Francisco. 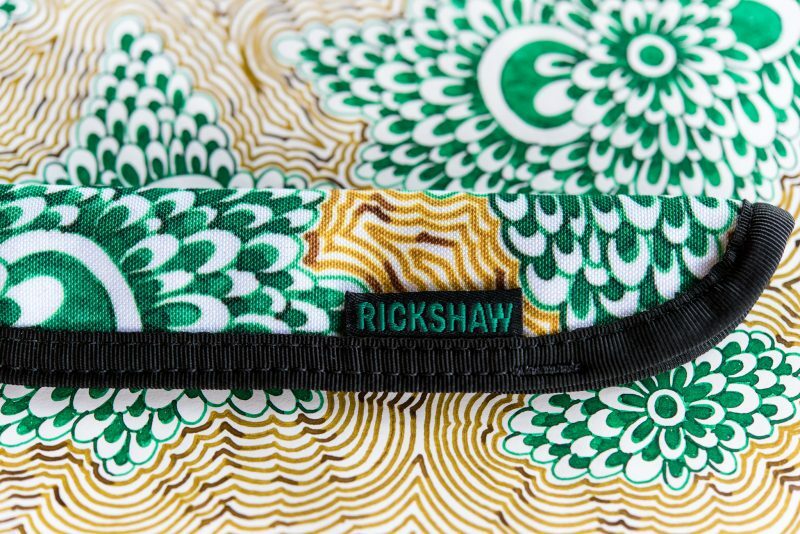 My wife and I are a big fan of Rickshaw products and use them on a regular basis. Mark even invited me to their production facility and gave me some products to review and giveaway when I was just starting this blog. 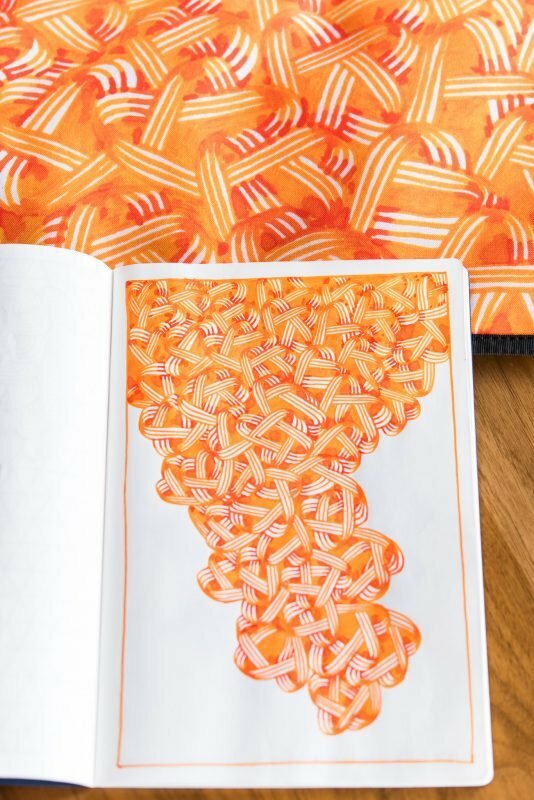 A few weeks ago I posted some of my doodle images to Instagram and was surprised when Mark reached out to see if I’d be interested in getting them printed on some pen rolls. I knew that he had done this with a few other people in the fountain pen community, but never expected my own images to be on a pen roll. Needless to say I scanned my doodles and sent them over to him right away! Here is the original doodle along with the matching pen roll and sleeve. 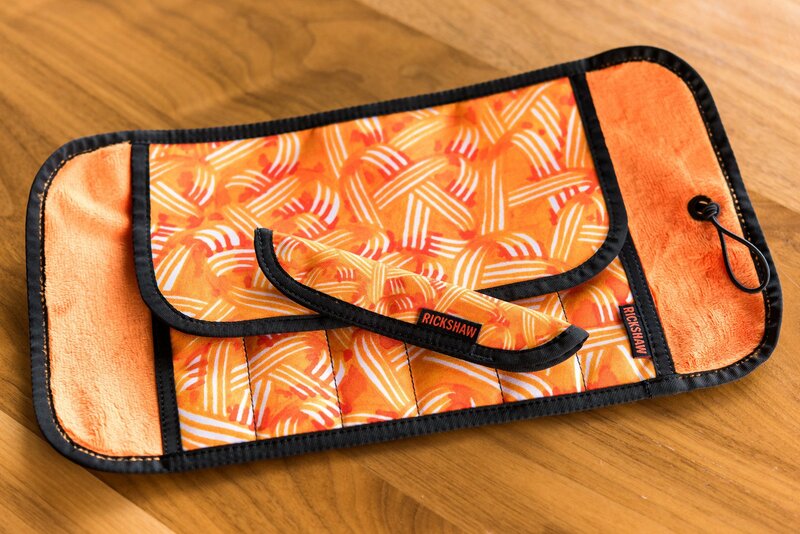 Here is the original orange doodle and back of the pen roll. Mark also took the liberty (after asking) of playing with one of my doodles a bit in Photoshop and altered the color to give different options. 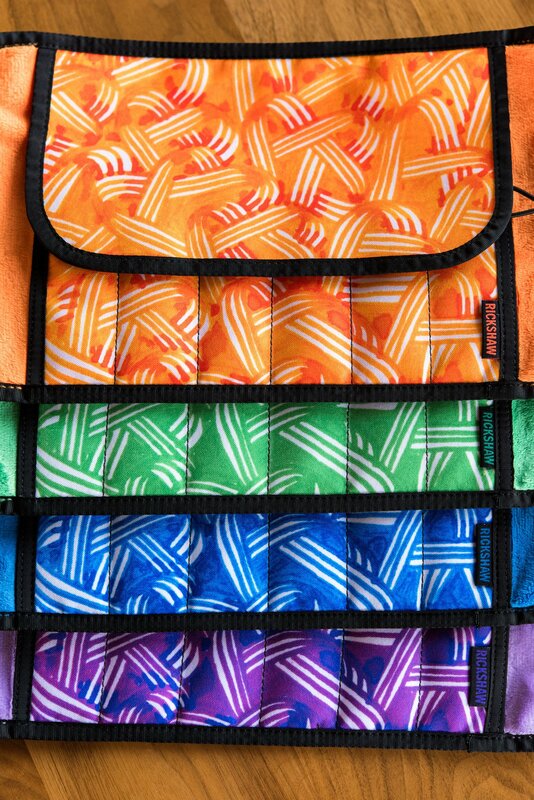 Of course, his team matched the tag and plush interior of each roll to the color of the pattern. Here are the color variations on the pen rolls. He also threw in some matching single pen sleeves that, of course, have the coordinated tags and plush interiors. 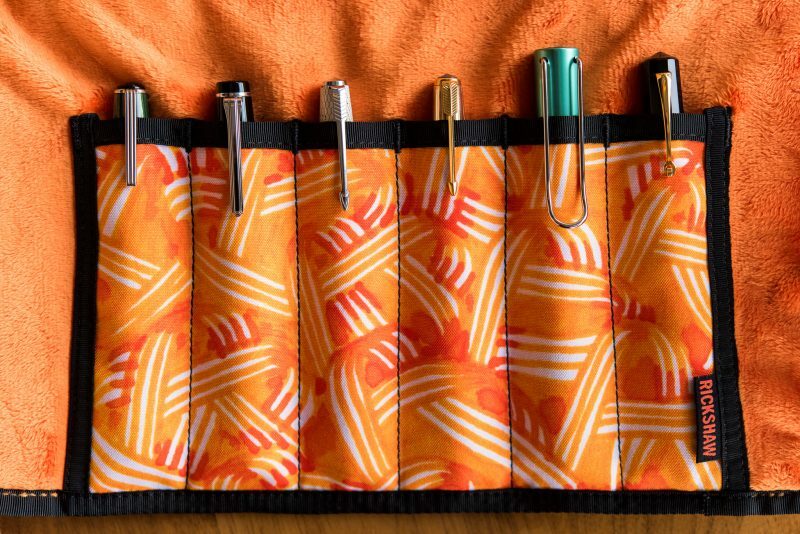 Of course, you’ll need matching pen sleeves for your rolls. Each roll holds six pens and rolls up to a size not much larger than a can of cola. These rolls comfortably hold six fountain pens. Once the roll is closed, it’s fairly small. 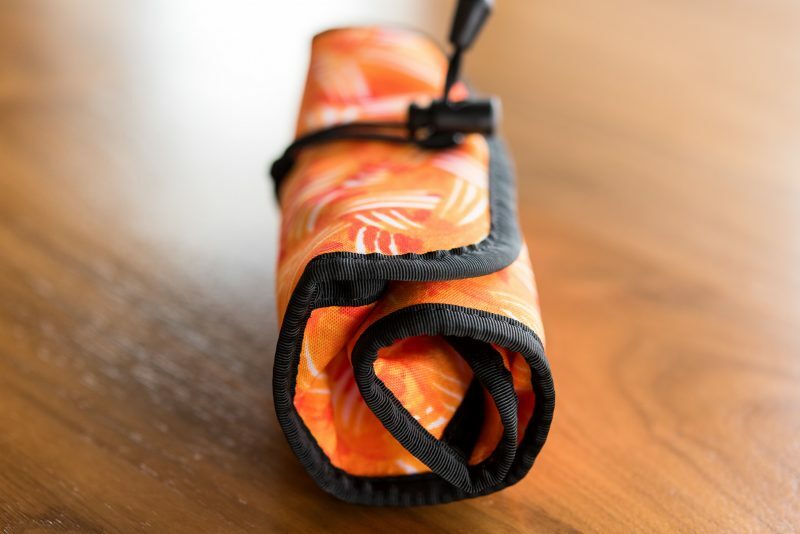 You can see that your fountain pens will be completely protected in this roll. You can see the matching plush interior and tags in this image. Now, let’s get to the giveaway. First, please understand how kind it was of Mark to send so many pen rolls and sleeves over. 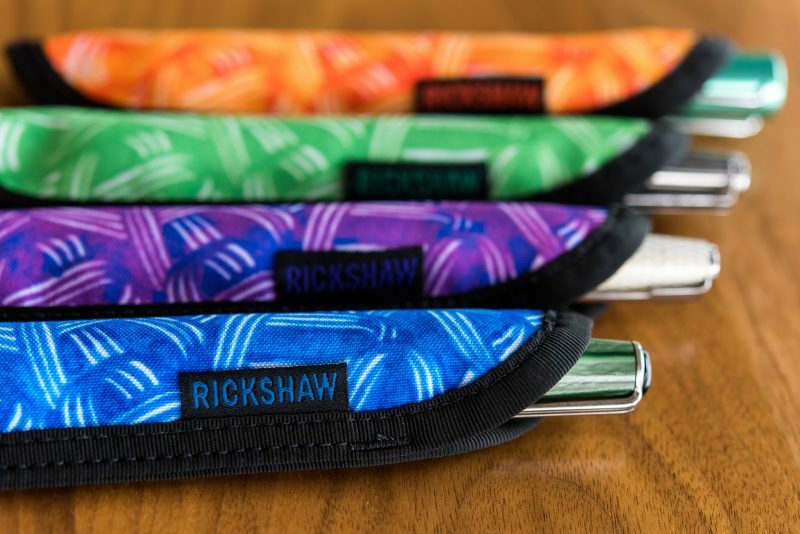 Take a look at Rickshaw’s product pricing and you’ll see that each custom roll retails for $49 and custom pen sleeves retail for $15! Because of his generosity, I want to show Rickshaw some love in this giveaway also. This giveaway will have four (4) winners. 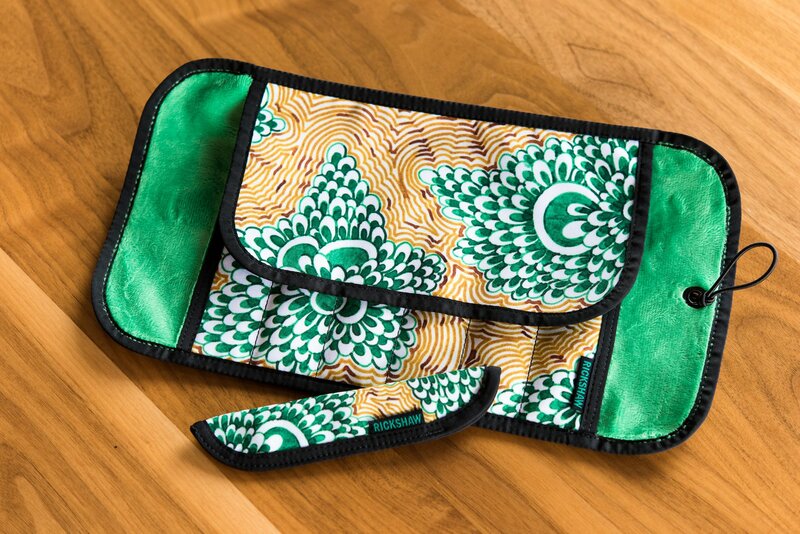 Each winner will receive one (1) pen roll and the matching pen sleeve. Please be sure to fill in the field on the entry form and let me know your first and second color preferences. Whoever gets picked first will receive their first color preference. 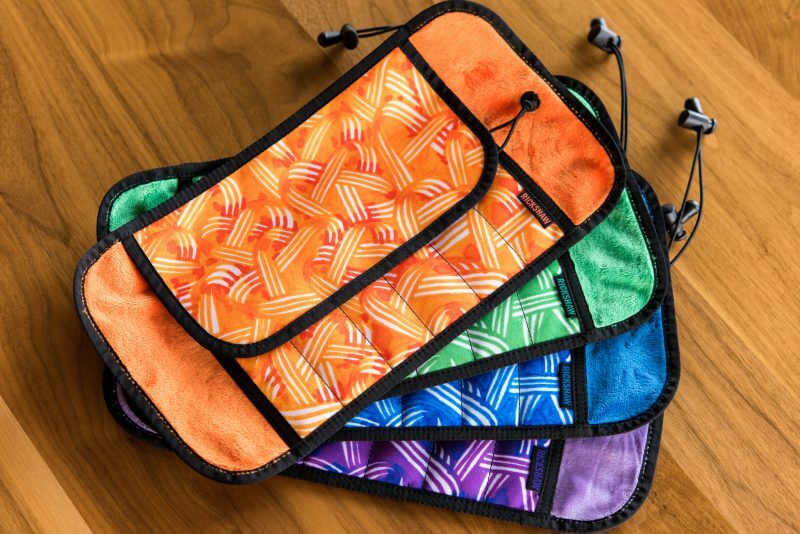 The second winner will receive their first color preference if still available and their second color preference if the first is not available. The same for the third and fourth winners. If neither preferred color is available for the third or fourth winners, I will randomly choose a color for each. Below, you’ll be able to enter and will find the full terms and conditions. This contest ends at 11:59pm MST on Sunday, March 31. Winners will be announced and notified on April 1. 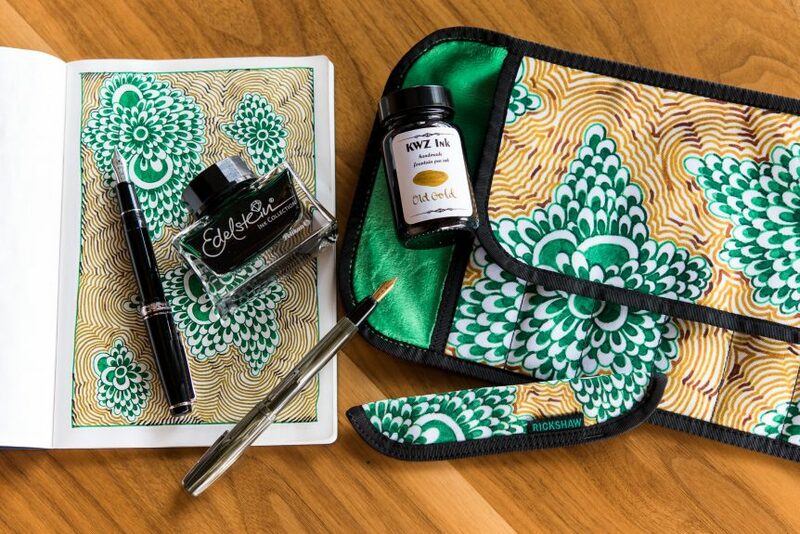 Any pens, inks or paper that are pictured with the pen rolls and sleeves are not included. Good luck! That’s so generous of you, John! Thank you for the opportunity! Nice designs. They look nice in the different colors. This is awfully nice of you! The designs look gorgeous! Thanks a lot for the opportunity! Orange is gorgeous! These rolls are all amazing! Mark is such a cool dude and not only a retailer, but a big contributor to and supporter our community. I’m so glad he chose your artwork. You deserve it. Your designs are beautiful. And Rickshaw makes fabulous cases. This is one of the best giveaways I’ve ever seen! Congratulations! 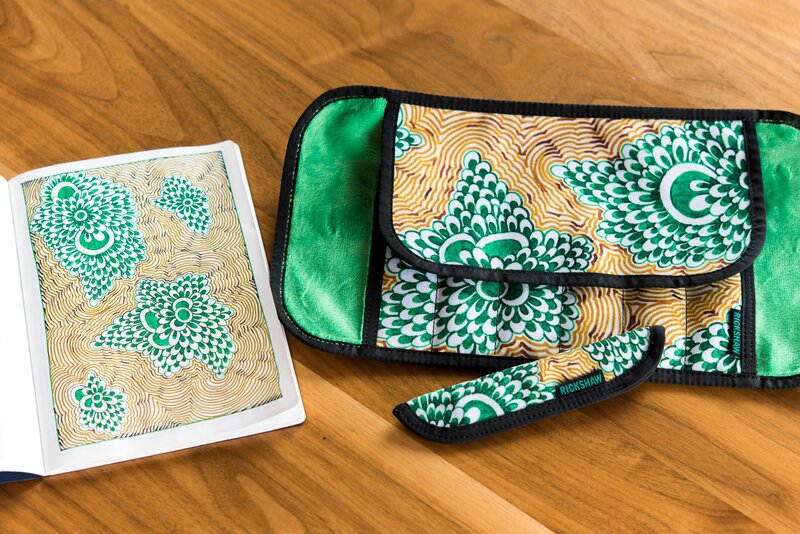 It must be so exciting to see your artwork turned into a perfect, useable, beautiful item! 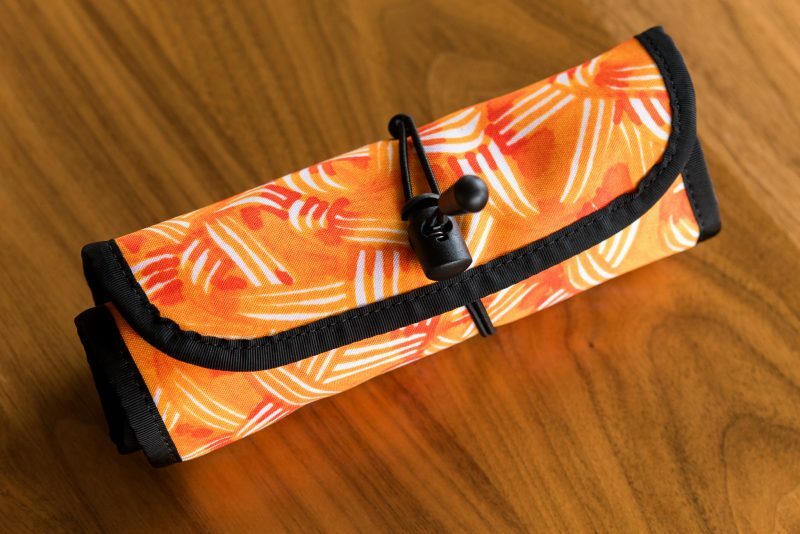 I like these abstract doodles and they make great designs for the pen rolls. The translation from paper to fabric looks seamless. 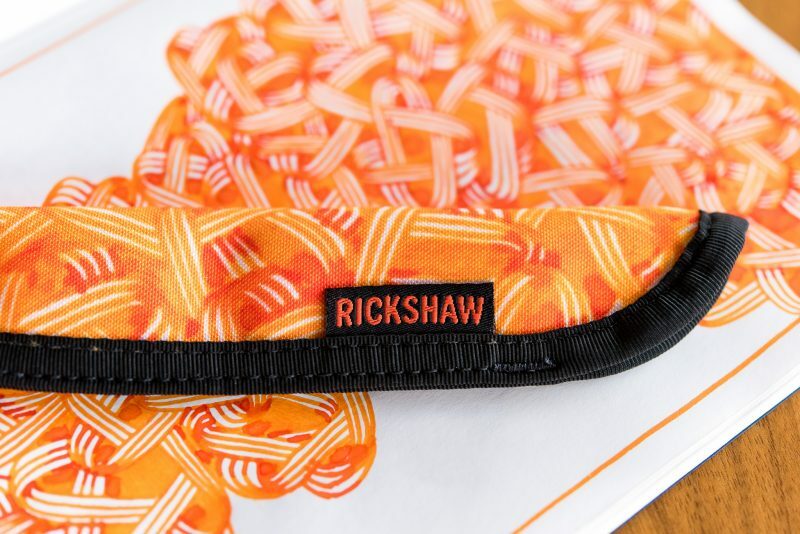 I’m a fan of the Rickshaw Bagworks pen gear, and I love the way they incorporate designs from the FP community. I see a lot of people doing creative doodles which end up on pen rolls and sleeves by Mark and his team. I do not have that doodling ability! These are beautiful! Thanks for doing a giveaway, love it! Wow, cool giveaway. I think I’m getting addicted to fountain pens, I’m beginning to follow bloggers! The drawings are lovely and they look amazing on the Rickshaw items! It really looks like you might have just drawn right on the cloth. The orange one and then the green and gold one are just stunning honestly! How does the dye sublimation work? I’m no expert on it, Aaron, but as far as I understand it, a pattern is printed onto the fabric. The fabric is then passed through a machine that heats the dye and chemically bonds it to the fabric. This way the pattern becomes a part of the fabric instead of just sitting on the surface of the fabric. I just have 1 question, where will you announce the winners? Twitter or Instagram? Or will you notify through the email we provided? You’re welcome! Winners will be notified through the provided email address. I’ll also announce on Instagram if I can figure out the usernames. I love rickshaw!! My first choice would be the orange then the purple 🙂 thanks for being so generous and doing this giveaway! Thanks for creating this giveaway!!! The plush material Rickshaw uses is amazingly soft. I find myself occasionally petting the material. Lol. These are brilliant, and so much more fun than other options out there! The matching sleeve and roll are a unique design too. Love it! Your green doodle is incredibly soothing! 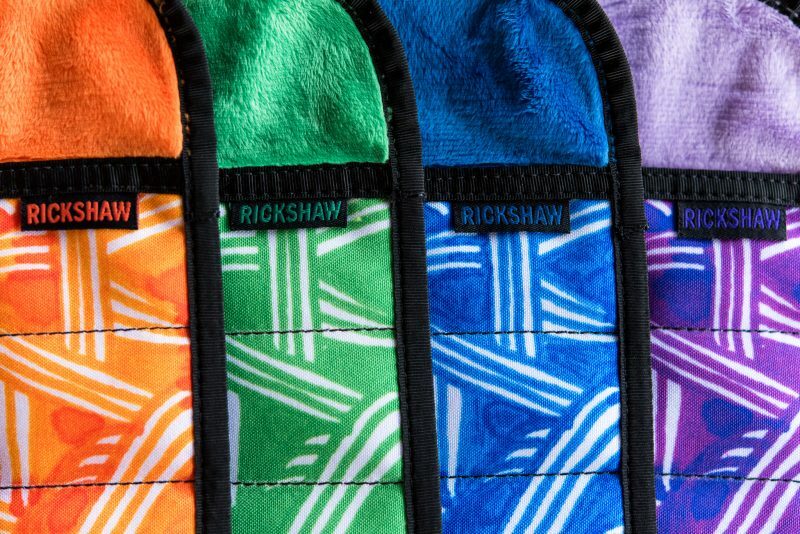 Congrats on getting your design on these nifty Rickshaw pen-sleeves/rolls! I love these pen rolls! They are the best! And this blog is so great too! Thank you for the giveaway contest. The pencases and artwork look awesome! I think the violet looks best – because it isn’t monochrome like the others. That sort of artwork (well shaded) lends itself to a lot of variation tricks and techniques. If Mark wants help using Photoshop to make more color variations – let me know.